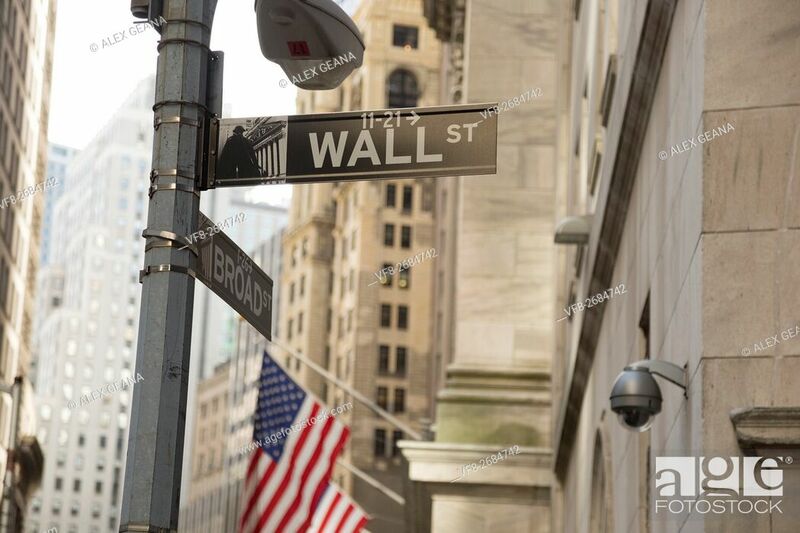 Stock Photo - The iconic street in New York has become the symbol for money, power and finance. The new signage was part of a recent move to update city streets ... . Wall Street and Broad Street are the intersection of the New York Stock Exchange.